Learning how to potty train your dog is an important step in ensuring a happy and healthy companionship. With 25 percent of dogs relinquished to animal shelters due to housebreaking problems, it’s fair to say that potty training saves lives. But it may seem daunting if you don’t know where to start. Fortunately, several methods can set you up for success. From using pee pads to crate training, here’s how to train your dog in six easy steps. 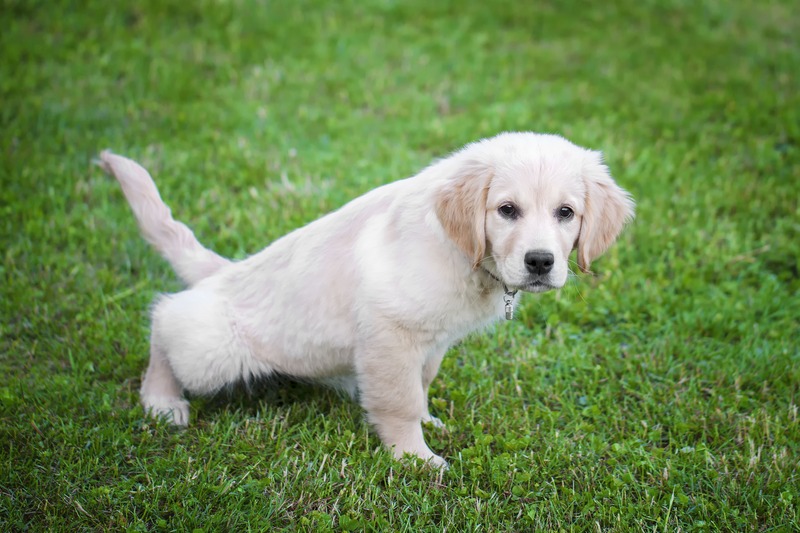 One of the simplest ways to train your dog to pee or poop in one spot is to train them to go on demand. 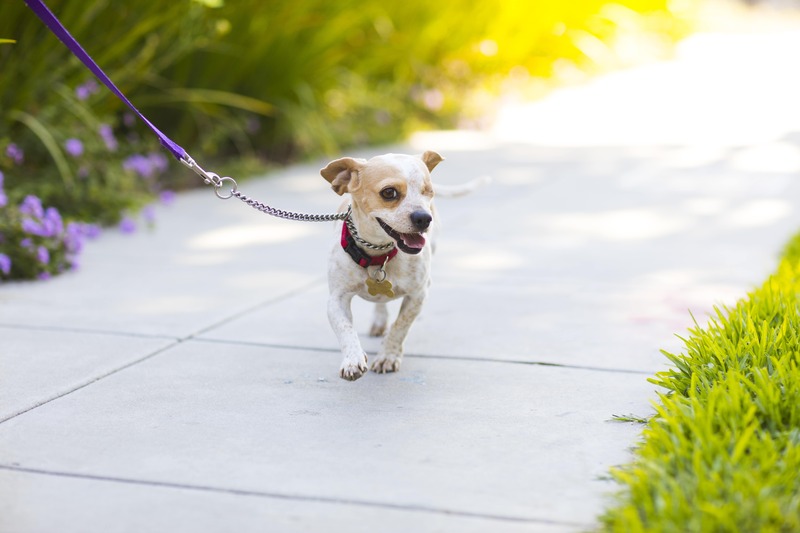 To try this method, put your dog on a leash, take them to the designated potty area you want them to use, and say a cue word of your choosing. You can keep it easy and use “Go potty!” or add a little bit of magic to the mix with “Supercalifragilisticexpialidocious.” It’s up to you, but it’s important to be consistent. Animal trainer Anna Jane Grossman recommends using one word for pee and one for poop to differentiate the two actions. Keep your dog in that spot until they go, and then offer a reward. 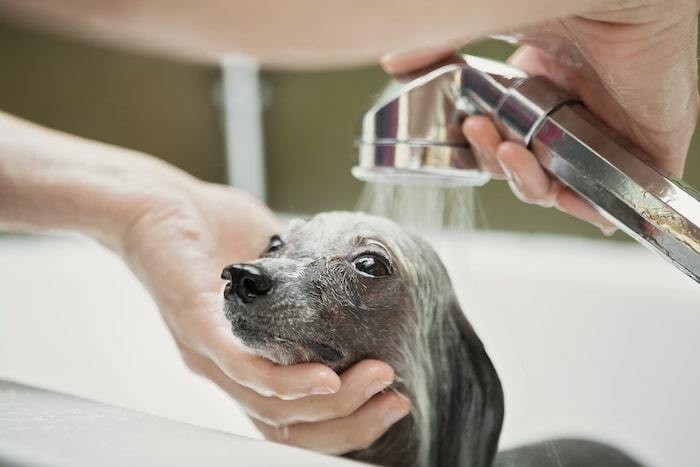 Be sure to reward the dog only when they go in that particular spot. You might also use a potty cue when crate training your dog, which the American Kennel Club ranks high as a potty training tool. To learn how to crate train a dog for potty training, you must first get your puppy accustomed to being comfortable in a crate, which will come in handy on vet visits and during travel, too. Give them soft toys, furnish the crate with plush bedding and maybe even offer a reward each time you put them in the crate. Since dogs are den animals, they often don’t mind hanging out in a crate now and then, so long as it’s the right size and it’s clean. 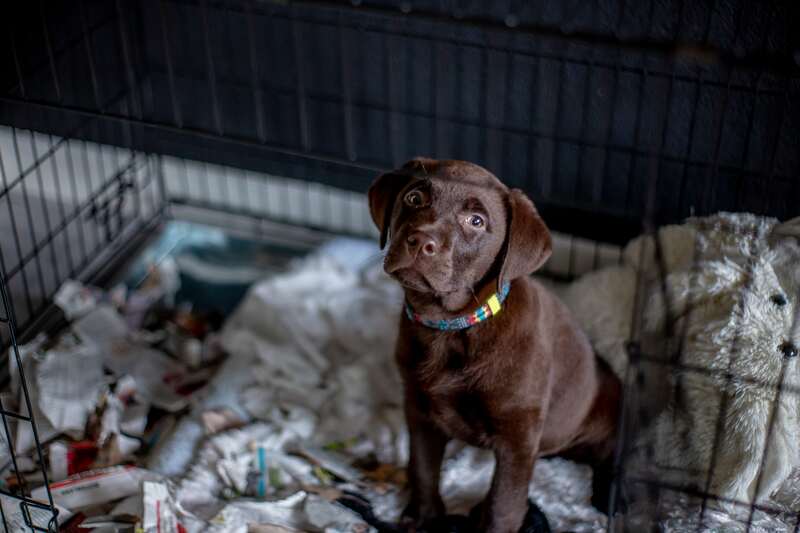 When your pup begins to see their crate as living space, they won’t want to pee or poop in there. Of course, never leave your puppy in a crate all day. 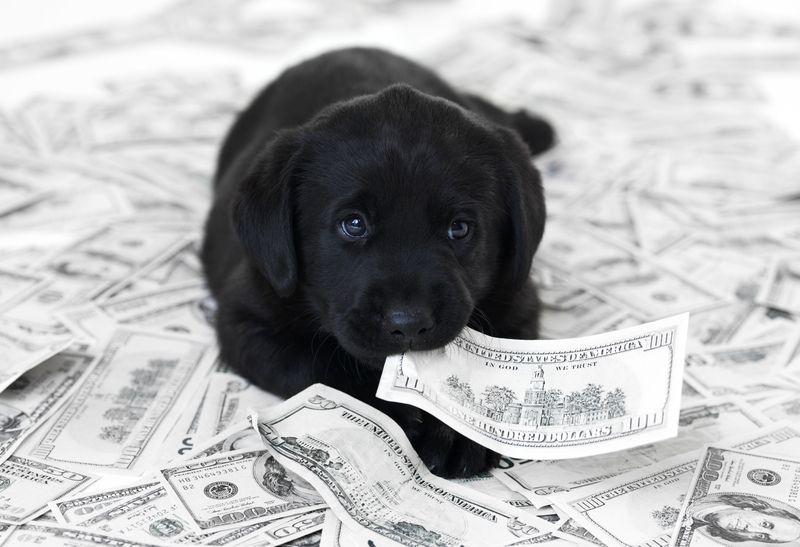 Young puppies should not spend more than two to four hours at a time in their crate. It’s a good idea to keep your pup in the crate overnight and during the day for periods at a time. You might start out with a 10-minute stretch and increase the time gradually as they grow more comfortable. Your puppy will let you know that they need to go by whining and scratching at the crate. Alternatively, take your pup out frequently to potty, at which point you could use the potty cue in a designated spot and reward accordingly. While outdoor training is ideal, some people (such as apartment dwellers or the elderly) might prefer indoor training, in which case pee pads will be useful. 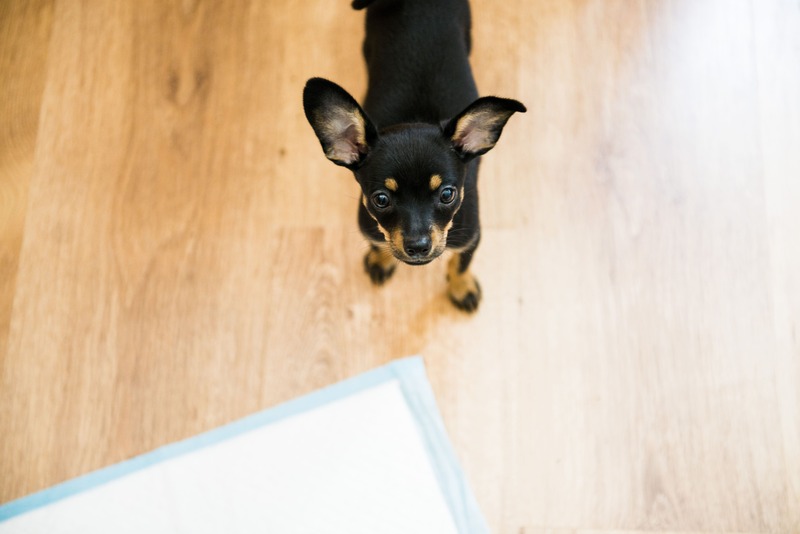 You can use crate training and potty cues in the same way, only instead of taking your dog outside, you’ll lead them to the pee pad as the designated potty area. 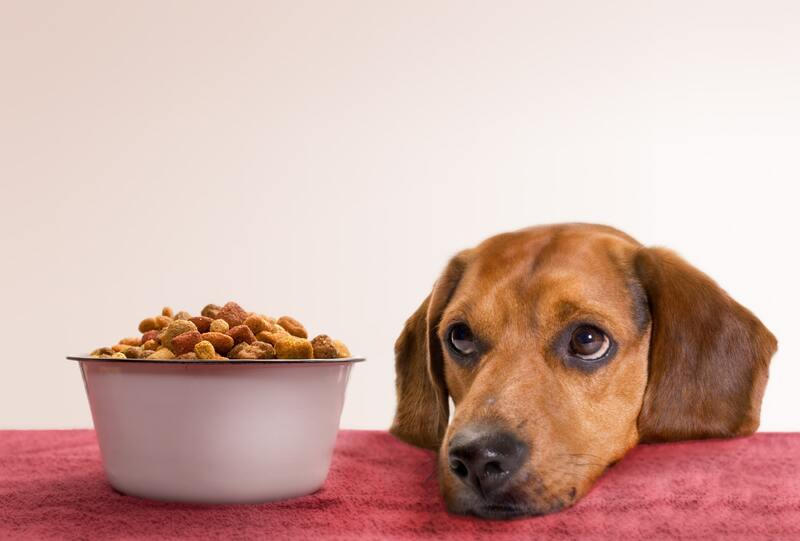 Since puppies have immature digestive systems, it’s a good idea to break up feedings into three small meals. 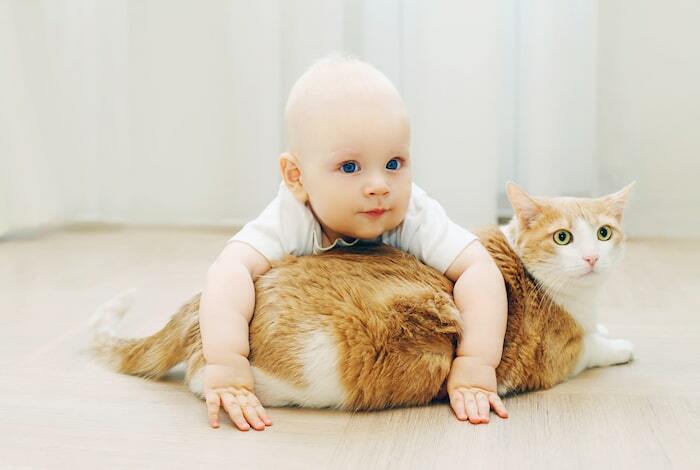 Both overfeeding and low-quality food may cause diarrhea, which can throw all of your hard potty training work out the window. Rubbing your pup’s nose in soiled carpet or raising your voice will not help to potty train your dog any faster. More likely they’ll be confused about why you’re so upset or learn to hide from you when they need to pee or poop. Yet, offering praise and rewards is a crucial component to potty training. 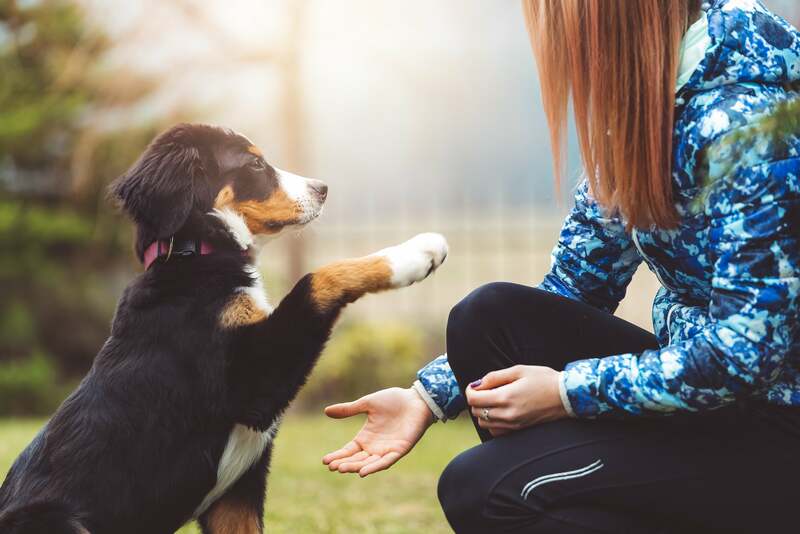 Whether you cheer, throw a ball or offer treats, celebrating your dog’s accomplishments will only make them want to keep pleasing you. 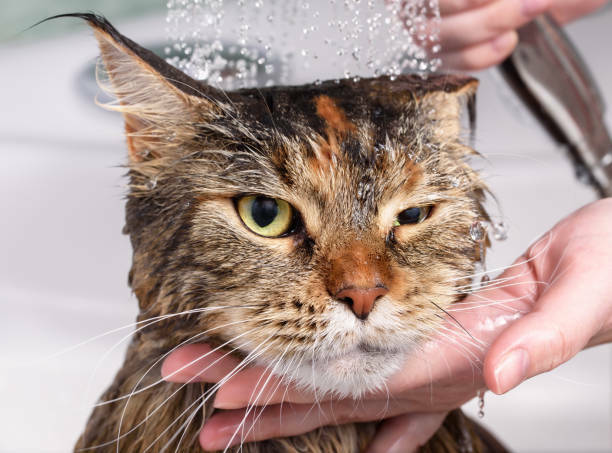 When inevitable accidents happen, try to keep your cool as you clean up the mess and keep moving forward, knowing that with time, your efforts will pay off. 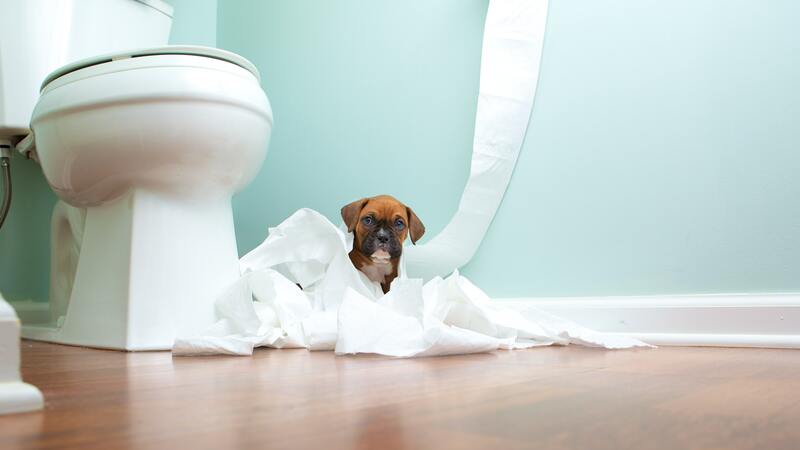 How Long Does It Take to Potty Train a Dog? Speaking of time, you may be wondering how long this whole potty training process may take. 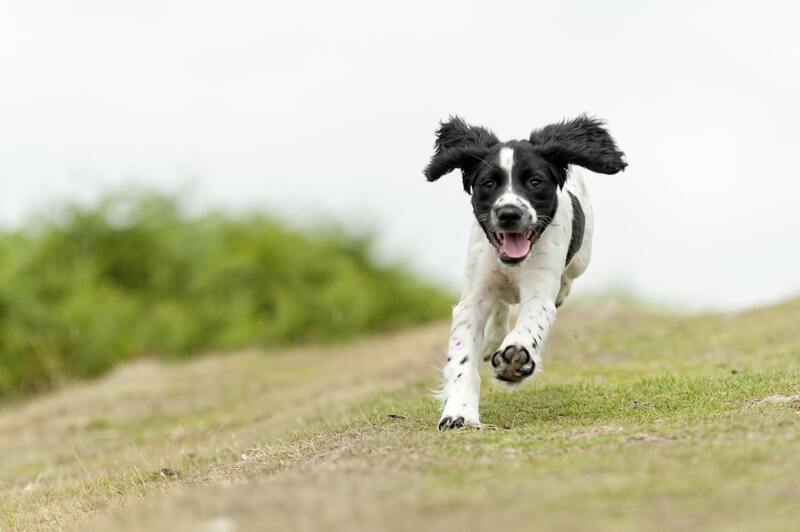 This can vary depending on a number of factors, including your puppy’s age and which method you plan to use. It can take anywhere from a few days to a few months. The best thing you can do is remain consistent. And try to enjoy the process so they will too.